For Pan Guojing who has lived in Johannesburg, South Africa for 66 years, what is planted deep in his mind is the unfair treatment he and the other Chinese immigrants got during the apartheid era. "We were oppressed by the whites very badly. We were not allowed to go to the whites' schools or public hospitals. We had to go to the colored areas. All the white communities were not available to us," said Pan who was born in South Africa. Pan's grandfather was among the first group of Chinese that arrived in the country in the 1890s during a gold rush. His grandfather did not work down the gold mines but engaged in the wholesale of goods. 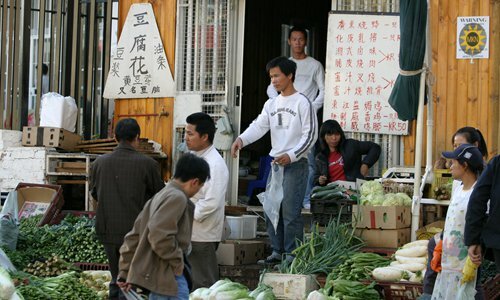 Many of the first generation Chinese South Africans left later, with only a small number remaining. The National Party formed the South African government in 1948, after which Chinese South Africans were subject to discrimination along with other non-European groups under apartheid law. It was from that time on when Pan and his family began to live under extreme difficulties in the country. The second wave of Chinese came to South Africa in the 1970s and 1980s, most of whom were Taiwan people and Hongkongers. The South African government offered various economic incentives to foreign investors in order to the boost domestic economy and many set up small factories to do business here. However, with the official recognition of the People's Republic of China in 1998, many Taiwan people left South Africa. And because the country's economy did fine under the early rule of president Nelson Mandela, a wave group of Chinese started arriving. Pan Mingyi, or Erwin Pon, Pan Guojing's nephew, is the fourth generation of the Pan family to live in South Africa. He said that those born in South Africa before the 1970s were called lao qiao, or "old immigrants," among the Chinese community, and those who came in the past couple of years were called "new immigrants." Now Johannesburg has the largest Chinese community in South Africa, and the second largest group is in Cape Town. The number of Chinese across South Africa ranges between 300,000 and 500,000. 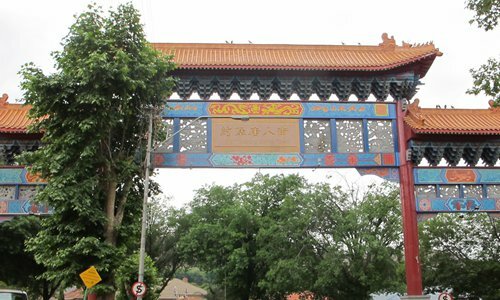 Before the 1990s, most of the Chinese immigrants lived in the first Chinatown in Johannesburg, while many moved to a new Chinatown in the city given high crime levels in the old one, with only a few old immigrants still living there with a nostalgic sentiment. The Chinese Association of Gauteng, founded in 1903, of which Erwin Pon is chairman, was the first association of its kind in Africa. It was established to support Chinese immigrants at that time such as offering translations and writing letters back to China. For old immigrants like Erwin, the miserable memories of apartheid still linger. He was told by his elders to get a decent job in order to make a better living. Now he is the business development director of South Africa's Rand Merchant Bank. "During apartheid, due to Chinese culture, the local Chinese were taught to put their heads down and focus on studying and getting as much education as possible - as no one could ever take that away," Erwin said. "My grandparents and parents underwent enormous hardships and they do not want us to live a miserable life like they did." While the old immigrants consider South Africa as their home, the new ones have focused on business potentials here and their goal is to make money out of the country. A woman surnamed Chen from Guangzhou, Guangdong Province came to South Africa in 1993 and now holds a South African passport. She is employed by a Chinese supermarket owner in the new Chinatown to help look after the store. Her children receive education in Johannesburg and she occasionally goes back to China. But a mixed feeling stroke her whenever she went back. "During the past more than 20 years, South Africa was going in a downward trend, but the Chinese economy is thriving. I sometimes feel regret about coming here. I am afraid this country will not change in the next 50 years," Chen told the Global Times. Many newcomers came to South Africa to visit their relatives first in the early 2000s and they decided to stay and tried to make a living. Lü Baohong, 52, who is also from Guangdong came to Johannesburg in 2004. He now runs a Chinese restaurant with his sister in the new Chinatown. He cited the same worries. "When I arrived, one rand equalled to 13 yuan ($1.9), but now it equals to only 0.5 yuan. We cannot make money from goods imported from China," Lü said. Lü has sent his daughter to Singapore and his son to Beijing for further study. His family members all have permanent residence in South Africa and they will not change nationalities. "I will eventually go back to China, but not now. It will be a gradual process," Lü told reporter.